With more and more people deciding to pull up their roots to relocate in another city, two destinations that often come up for consideration are Vancouver and Seattle. The two are some of the most distinctive and charming cities in the world after all, and you can go wrong with neither one. Nevertheless, each has its own particular charms, some of which we cover in this comparison article. 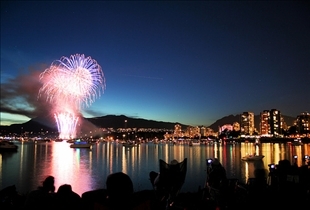 Vancouver is a city bordering the coastal area of British Columbia, Canada. The city drew its name from a British Captain, George Vancouver, who explored the region extensively during the 1790s. It is currently the largest metropolitan area in Western Canada and the third largest city in the country with a population of 578,041 in 2006. Its also a culturally and ethnically diverse city where as much as 52% of the population does not speak English as their primary language. 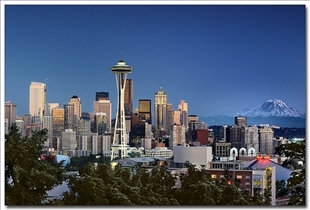 Seattle is the largest city in the state of Washington and is the largest in the Pacific Northwest region of the United States. It too is a coastal city and it is located about 100 miles south of the Canadian border. The city is named after a Duwamish and Suquamish chief. An April 2009 census tagged the city's population at just over 617,000. Vancouver first started out as a logging town with numerous sawmills in place since 1867. The area that was then known as Gastown was around where the city eventually took shape. Vancouver was incorporated as a city in 1886, and by the following year, a transcontinental railway was built in order to make use of the city's seaport. Humans have been settling in Seattle for at least 4,000 years. The city was first incorporated in January 24, 1865, and while it was disincorporated in 1867, it was later re-incorporated in 1869. Vancouver is considered by many to be one of the most livable cities in the world, a status that has been bolstered by favorable rankings in various business and travel related magazines. The city has been and continues to be the foremost destination for various international events the most notable of which are the British Empire and Commonwealth Games of 1954 and the World Exposition on Transportation and Communication held in 1986. The city was also the host of the Winter Olympics and Winter Paralympics in 2010. Seattle for its part is considered one of the foremost industrial and economic centers in the United States, with a strong economy that has largely weathered the recent recession. The city is also known for its accomplishments in the area of clean technology. In the early days, Seattle was considered an important trade hub for the Orient, Eastern Canada, and London. Even today, the city serves as the gateway to Asia, Alaska, and other countries all over the world by way of the Port of Seattle and the Seattle–Tacoma International Airport. Host of the Olympic Peninsula, the largest rainforest in the U.S. Which Pacific coast city is better for tourists? Vatican City vs. Rome: Italian Treasures! England vs. Great Britain: Which is which?